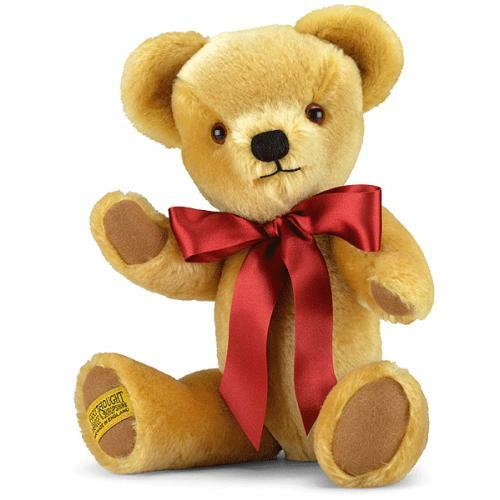 The 14 inch version of the Merrythought London Gold Teddy Bear, which is undeniably a true classic British Bear, this range is everyone's idea of a typical English Teddy Bear. 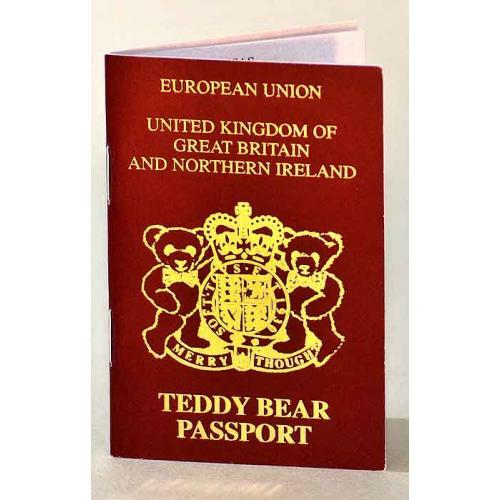 A very popular size bear. Fully jointed and made from 100% pure woven mohair and featuring hand sewn features. 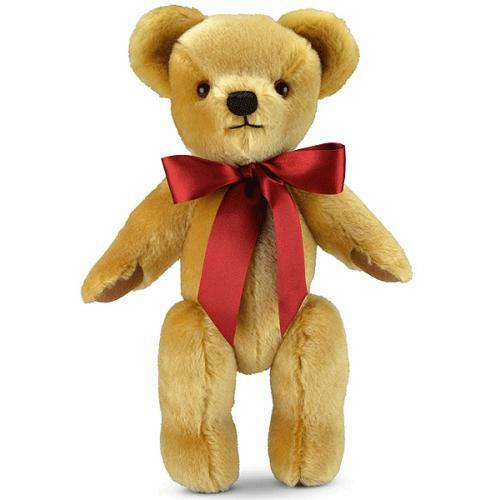 Comes with a beautifully made, cotton drawstring bag, in black with, Merrythought and the Wishbone printed on the front in gold colour, which besides being a useful keepsake, will help keep your, collectable bear clean, dust free and in pristine condition. 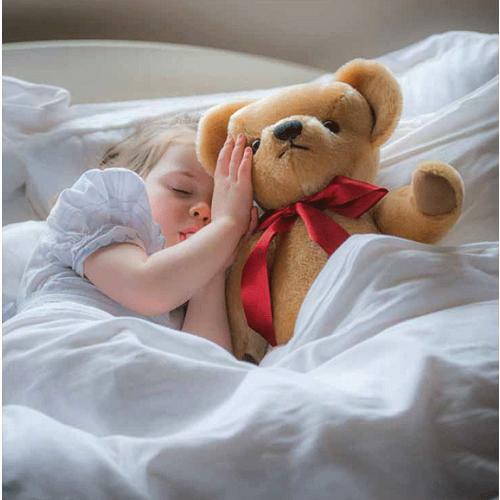 CE Marked - Safe for Children. Always read the labels. 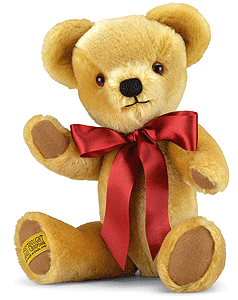 All Merrythought teddy bears are hand made using traditional methods, at their Victorian factory in Ironbridge, Shropshire.